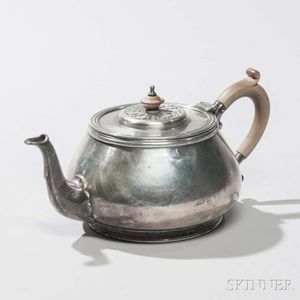 Elizabeth II Sterling Silver Teapot, London, 1955-56, Harrods Ltd. (Richard Woodman Burbridge), maker, squat form with foliate motif to cover, ht. 5 in., approx. 24.4 troy oz.